Oliver Cabrera, DDS and our entire Greece Family Dental team offer quality restorative dentistry including dental implants in Rochester, NY. At our dental practice, we believe in practicing evidence-based dentistry. We do this by treating every patient as a unique and important case, no matter what their need might be. We listen to our patients’ goals and needs and together we establish a dental plan that best fits the individual person. Our dental team is pleased to offer our patients in Rochester dental implants to restore their oral functions and one-of-a-kind smiles. 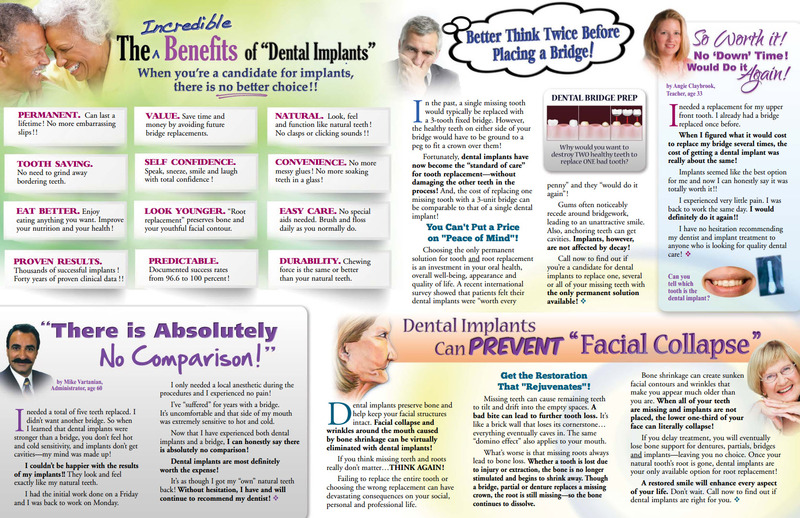 Dental implants are durable, effective, and aesthetic replacements for missing teeth. Our dentists have special training in performing the oral surgery portion of the implant process which means our patients are able to get the entire treatment with us. From the first step of placing the dental implant to the final step of restoring the crown, our Rochester dental implant patients can come to our implant dentists for the entire treatment. When getting dental implants, it is critical that the dentist, who is in charge of the final step (crowning the implant), is highly involved in the first step (placing the implant). This simple truth is overlooked by many receiving the dental implant treatment. Many patients go to another dentist to have the implant placed; when it comes time for the crown, their general dentist finds that it was not placed in at the correct angulation or position, making the crown fit awkwardly in the mouth. This is why our dentists are pleased to offer the complete process. At Greece Family Dental, we utilize high technology tools to deliver the best dental treatment. When our Rochester dental implant patients come in for treatment, we use the BioHorizon CT guided surgery method. Guided surgery is extremely accurate. We use CT digital imaging and modern computer software to plan the entire guided surgery. We truly believe that the software and detailed images, combined with our expertise give our patients the best dental implant experience available. • First appointment will include a consultation with the dentist where any questions will be answered and a CT scan will be taken of your mouth. • During the second appointment, the implants will be surgically placed. First we will administer oral or IV sedation if wanted and anesthetic to numb the implant site. Then, our dentist will carefully place the implant into the jaw bone using guided surgery. This means that small holes will be made in the jawbone just big enough for the implant (titanium) post to be placed. A temporary prosthetic tooth will be connected until the final phase or the crown can be done. • Implants typically take between 4-12 months (depending on the bone density) to properly fuse with the bone and heal. 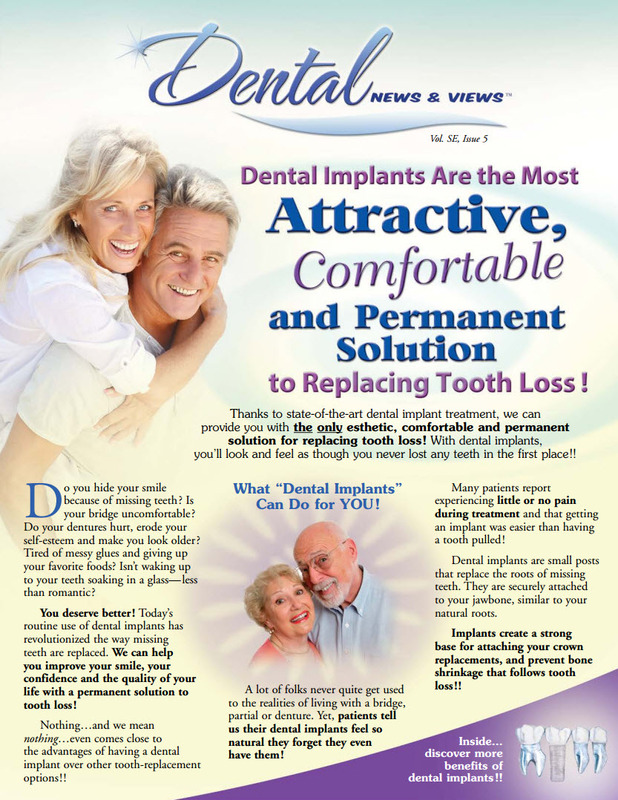 • On the last appointment, our Rochester dental implant patients receive their permanent crown. The crown is cemented in creating a durable, effective, and aesthetic replacement for a missing tooth. If you have any questions about getting dental implants in Rochester NY, or sedation dentistry, please give us a call or schedule an appointment today.